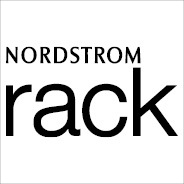 Nordstrom Rack is the off-price division of Nordstrom, Inc., offering shoes, clothing and accessories for the entire family at considerable savings. Nordstrom Rack offers many of the same brands carried in Nordstrom stores with most at savings of 30 to 70 percent off. Rack stores are designed to be self-service with merchandise organized to make it easy for customers to shop. The first Nordstrom Rack opened as a clearance center in the lower-level of the downtown Seattle Nordstrom store in 1973. The first stand-alone Nordstrom Rack opened in 1983 in Clackamas, Ore. As Nordstrom expanded to other parts of the country, Nordstrom Rack stores followed. Monday-Saturday: 10:00 a.m.- 9:00 p.m.
Sunday: 11:00 a.m. – 7:00p.m.